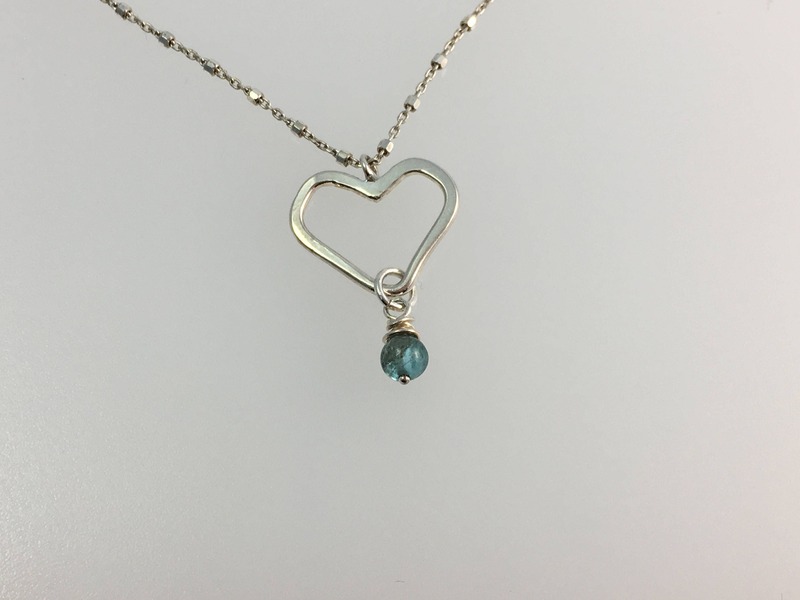 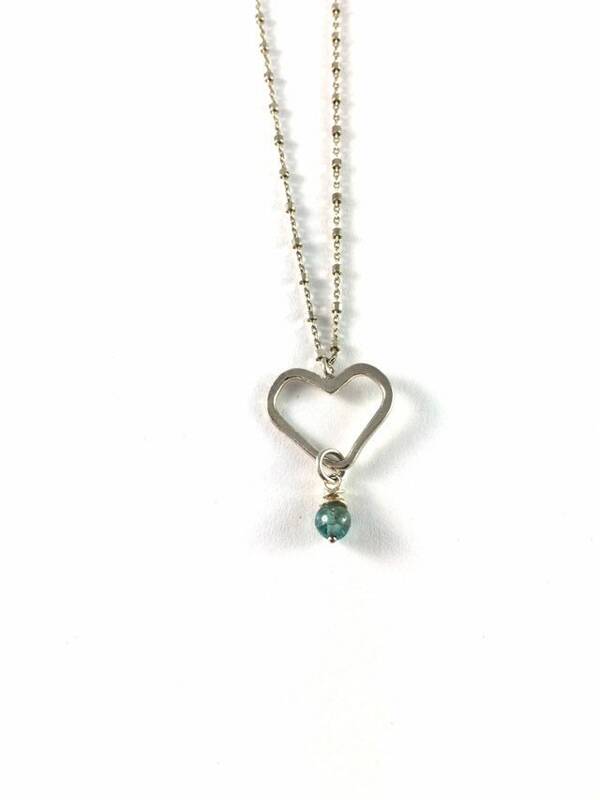 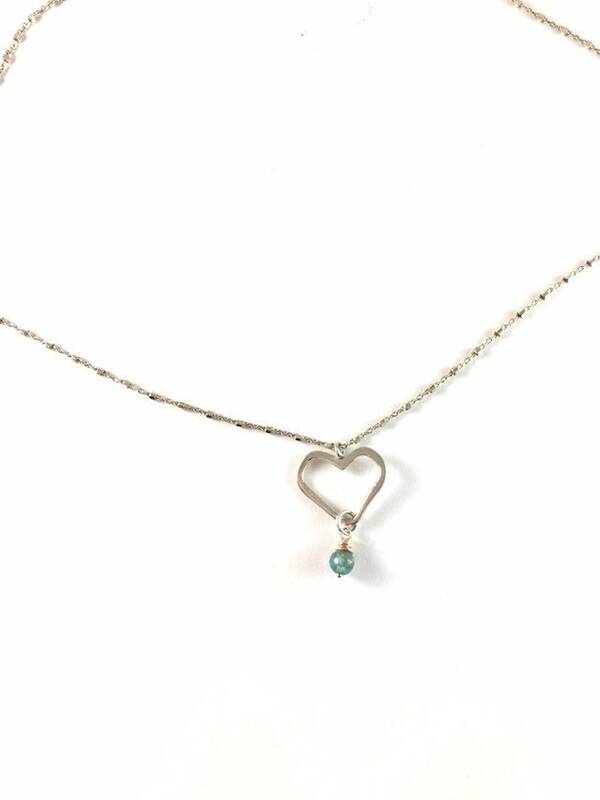 Tiny Sterling Silver Heart Necklace with African Apatite Gemstone Bead drop. 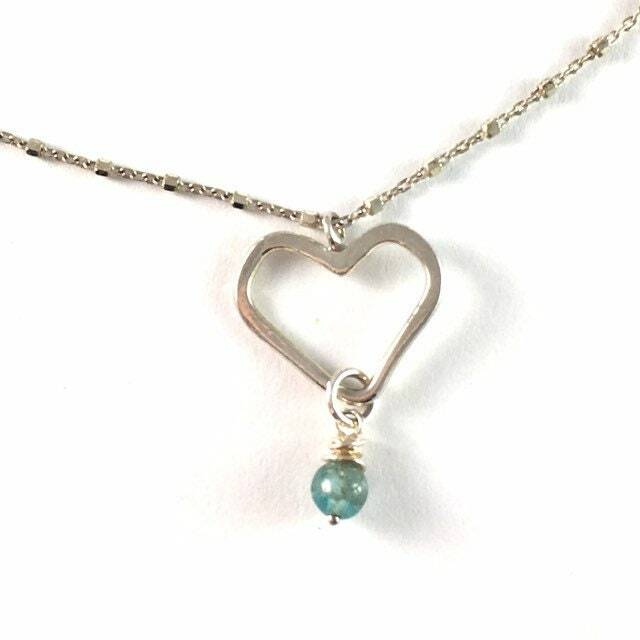 This necklace is hand fabricated in my studio in sterling silver, then the bead is wire wrapped with sterling silver. 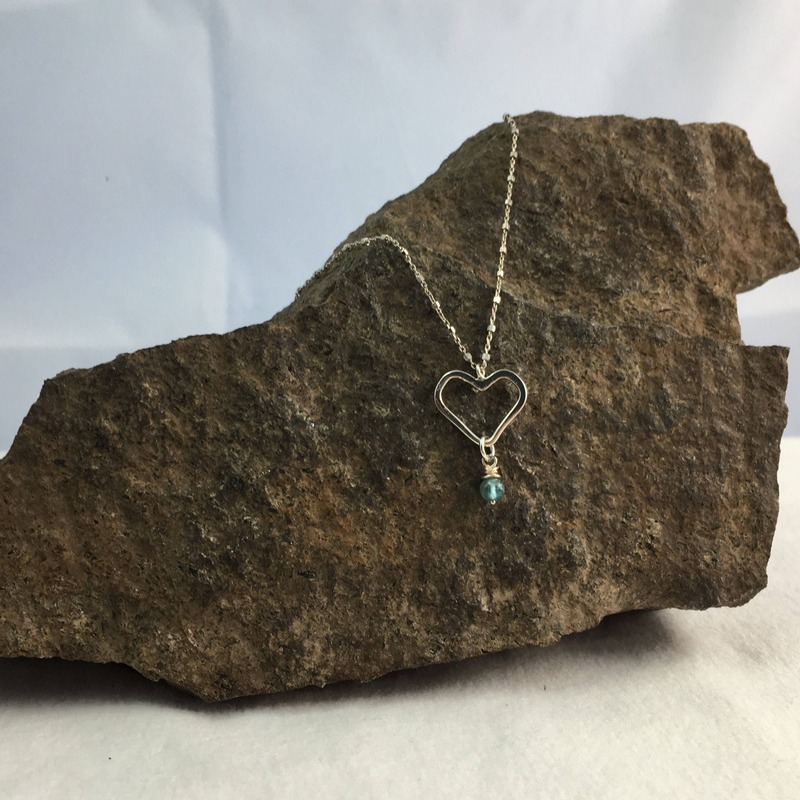 Each one I make is slightly different from the next. 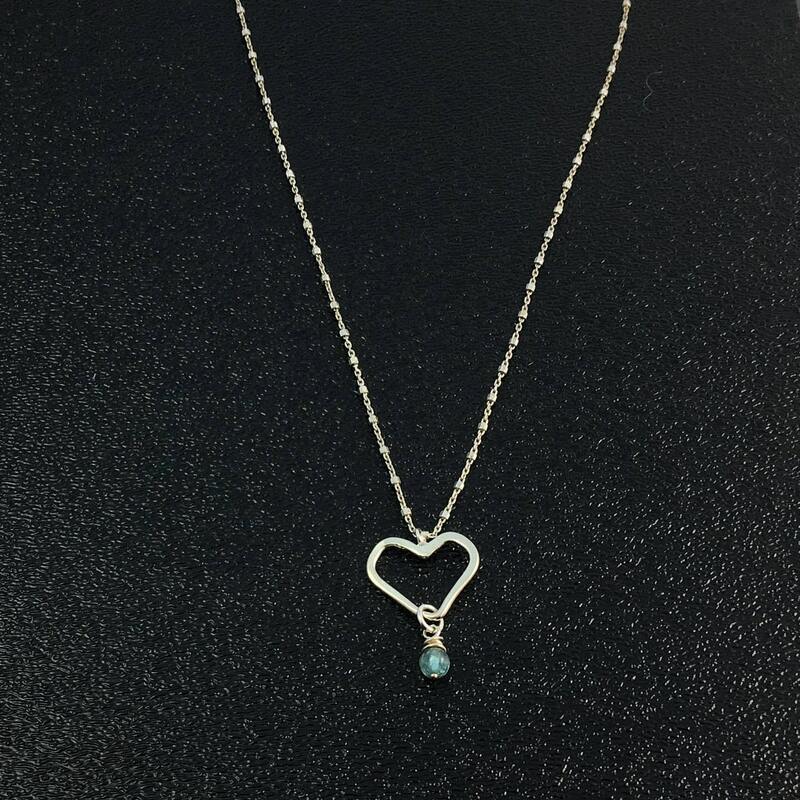 The necklace features an 18 inch delicate sterling silver chain with a lobster clasp closure. 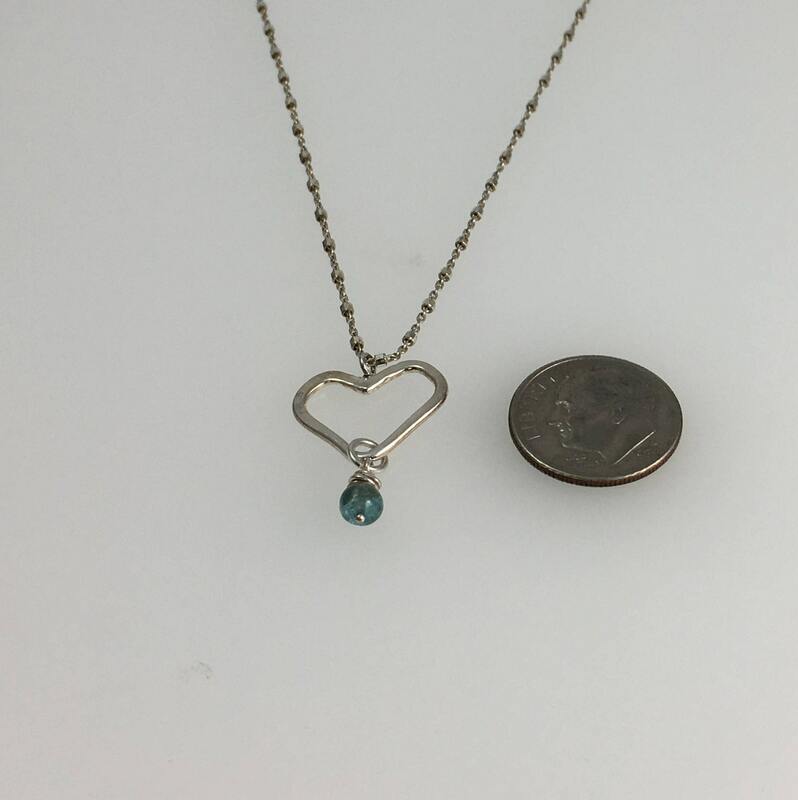 The heart measures 16mm wide and 12mm high, total hight with the bead drop is 22mm, the bead measures 4mm. 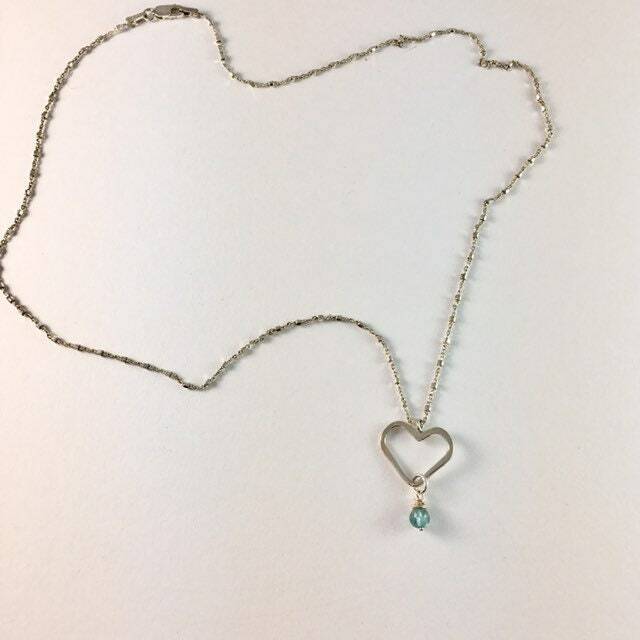 If you would like a longer or shorter chain let me know and I can see what we can do for you. 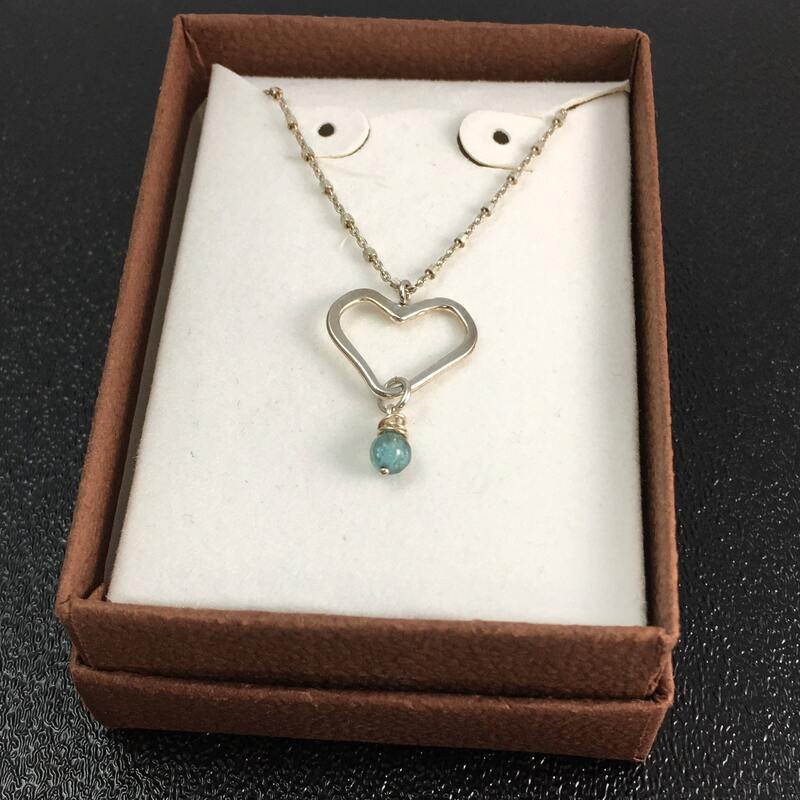 Item will arrive in a gift box all ready for giving to someone special or for yourself. 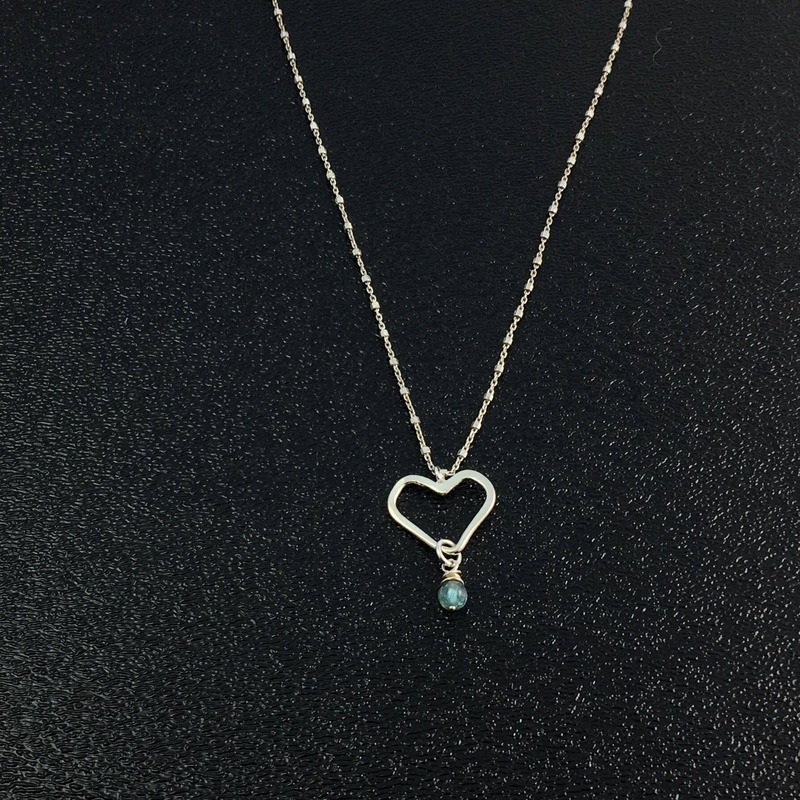 This necklace would be great gift.